This Templar Year we have been concentrating on three things – communication, membership, and our historical roots. There are other important aspects of Templary which also warrant our attention. Aspects such as quality in our ritual, and increased visibility within the general public and within Masonry. Our Knight Templar theme is Chivalry, Christianity, Templary, a way of life. We Sir Knights have to set the example. We must support our home Commanderies in every way possible, and wear our uniform with pride. Join those Sir Knights who are already committed to your Commandery. Develop an Esprit de Corps. Always have something going on. Hold upbeat and interesting meetings, and not just the same old routine. Build bonds and keep them intact by getting together more frequently. Have Ritual Competitions, Drill Team Competitions, and pot-luck dinners. Practice the Ritual so it is conferred with dignity, style and in an impressive way. First impressions are lasting and you get one chance to make a first impression, make it the best. Let’s not forget that we are about fraternalism. We are a family-oriented fraternity and our Commanderies thrive better when we include our Ladies, Sweethearts, and Families in our activities. We need also to increase our visibility in the community. Get involved with a community service project, a parade or fundraising for a local charity. Adopt families at Thanksgiving and Christmas. Wear Templar polo shirts so the community will know who we are. Construct a long-range plan and stick to it. When you find problems, deal with them, don’t leave them for others. Faith, Hope, Charity, Fortitude, Justice and Mercy – live by it. Each of us is someone’s example. 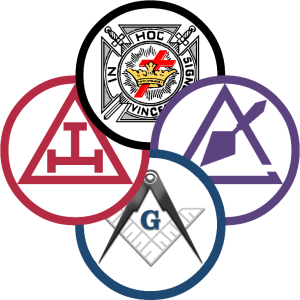 The Grand Commandery Officers and I look forward to seeing you this month at the Annual Conclave in Grand Rapids.